Have you ever wondered why you need a different nebuliser system for certain types of medication? Inhaled steroids and antibiotics are often stickier than standard nebuliser medication and can take longer to nebulise. It is because of this you need either a high powered unit or a specialist medication chamber to speed up your treatment time making life better for you and putting less strain on your compressor's motor. Most health professionals recommend for nebulising steroids and antibiotics you use a closed system. This can be either the exhaust hose which comes with the Sidestream Plus or the filter and filter pads, whichever you prefer. In the nebuliser world it does! The smaller the micron size of the mist means a greater percentage of your medication reaches your lower airways which is where you want it to be. 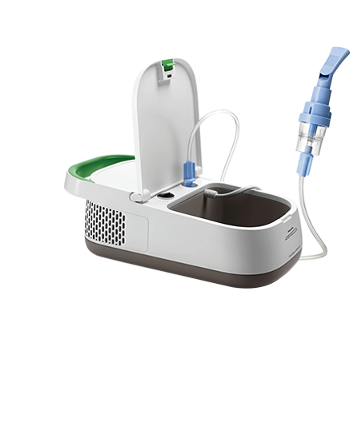 A reusable jet nebuliser system specifically designed for the delivery of inhaled steroids and antibiotics. It produces a consistent high quality mist of which nearly 70% is less than 4 microns, it reduces treatment times and responds to your breathing pattern. 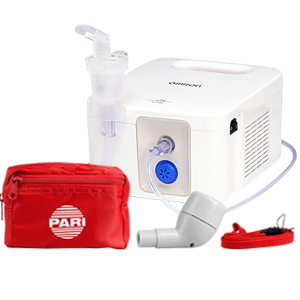 The SideStream Plus and the Pari LC Sprint are both systems which are breath activated. This means you receive more medication when you breathe in and waste less when breathing out, but this does mean getting used to a mouthpiece. If this does prove tricky then you could choose a high pressure machine but you may run the risk of environmental contamination. In other words, sticky antibiotic settling all over your furniture or even worse your nearest and dearest breathing in your excess medication. As always your health professional will be able to advise which system will be better suited to the medication you are prescribed but if we can help at all please give us a call 01942 701210 or to drop us an email.